What’s better than soaking up the summer sun? Doing it with a Crispy HipCity Ranch in one hand and some sweet potato fries in the other, duh! 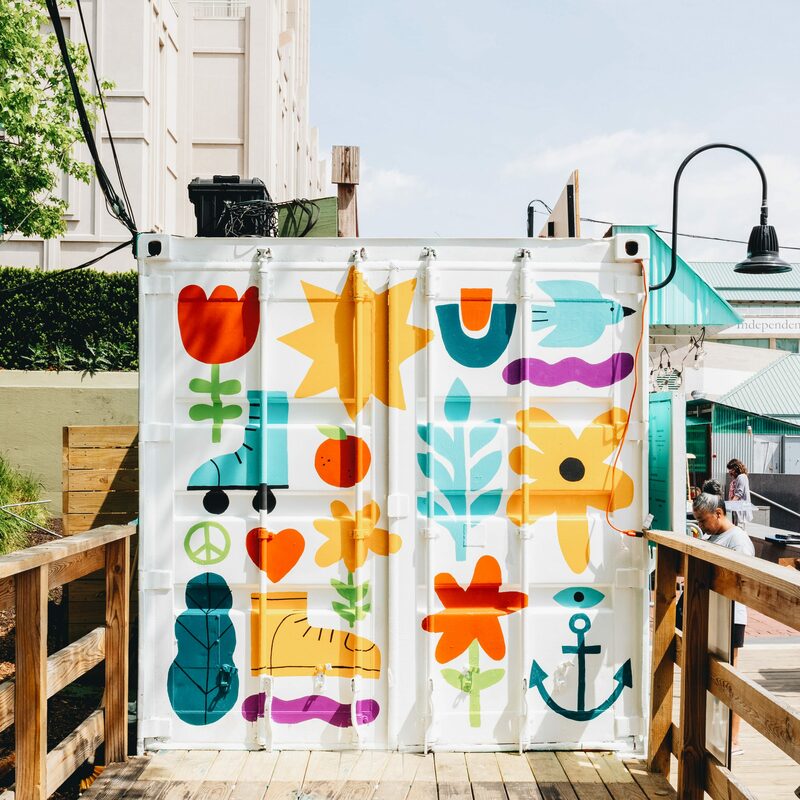 Based on this sound logic – we decided to move into one of the 20’ x 40’ shipping containers at Spruce Street Harbor Park to sling some HipCityVeg classics! You know the place. Right by the water, with the super colorful hammocks, floating glow sticks and bustling beer garden. After taking a look at our new digs, we decided our container needed a fresh coat of paint. Lauren Cat West, a local Philly artist, helped us out with a mural that captures all of our favorite things of the season! Our new mural moment pulls in inspo from the lively colors all around the park and designs that represent activities that scream summer. 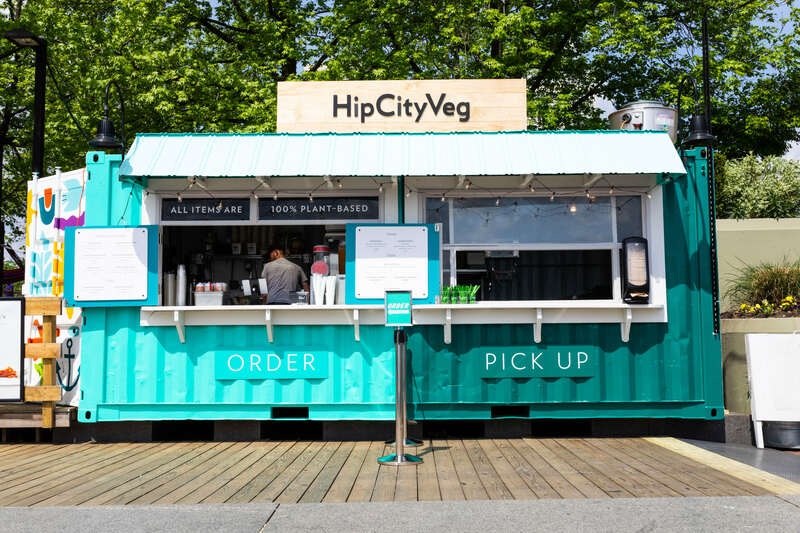 Our menu favorites like the Crispy HipCity Ranch and Philly Steak blend right in with the other boardwalk eats, but in true HipCityVeg style: are 100% plant-based. 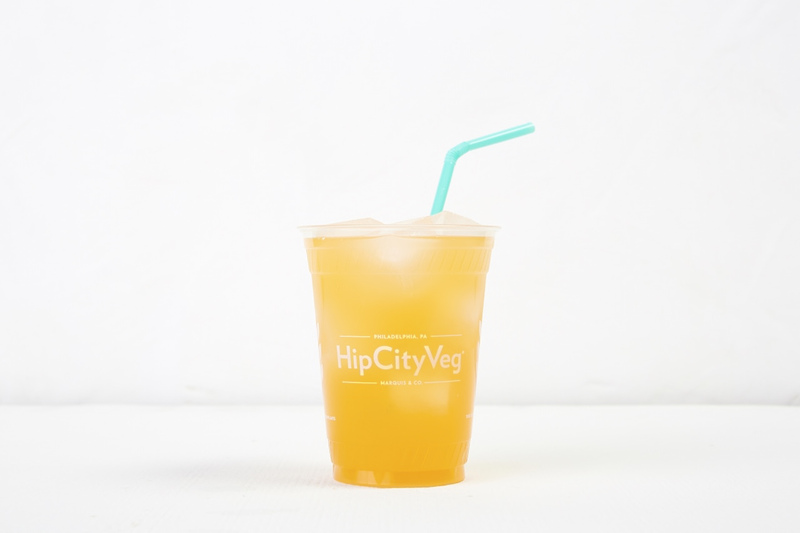 We added two new thirst-quenching summer sips: a Turmeric Tangerine Lemonade and Strawberry Shrub, available exclusively at Spruce Street Harbor Park. Being the only vegan option on the waterfront is a real dream come true, allowing us to inspire more peeps to eat plant-based! Plus, our friends at the Delaware River Waterfront share the same environmental values as us, using non-toxic post-consumer plastic on floating gardens that clean the marina. Looking out for mother nature while enjoying the tastes of summer? That’s what HipCityVeg is all about. Come grab a lemonade and some sweet potato fries before summer slips away and Spruce Street Harbor Park closes September 30!